Primark have pulled out all the stops recently, haven't they? I used to go in there and come out with absolute buttkiss, but now I am spending like, £30 a pop! 01. Tweed scarf. It was so cold the day we went into Liverpool I had to purchase extra layers. I only really have one scarf that I wear, and I thought this colour would go with everything. It is also lovely, thick, and seemingly good quality. 02. 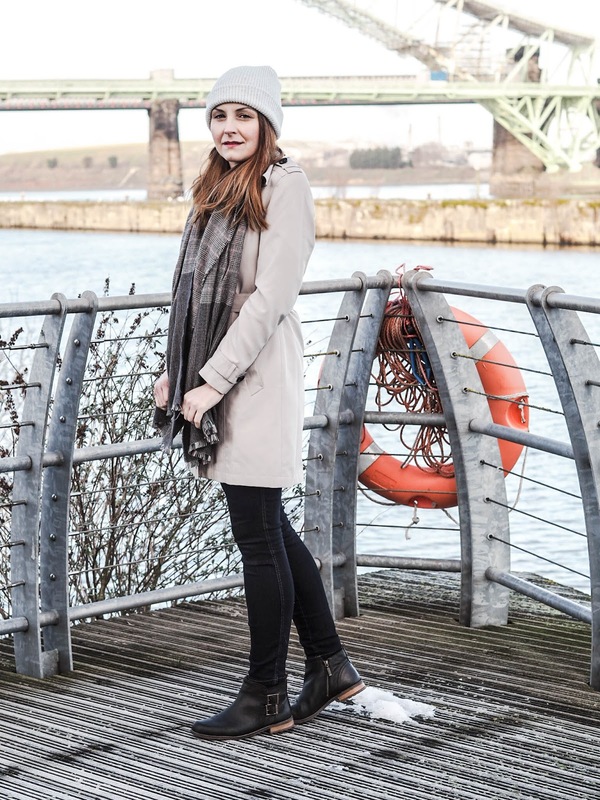 Grey beanie hat. This hat was probably my favourite purchase. For £4 it is so thick, and definitely keeps your head warm in this baltic weather. What's more is that they had this same design in a range of colours. 03. 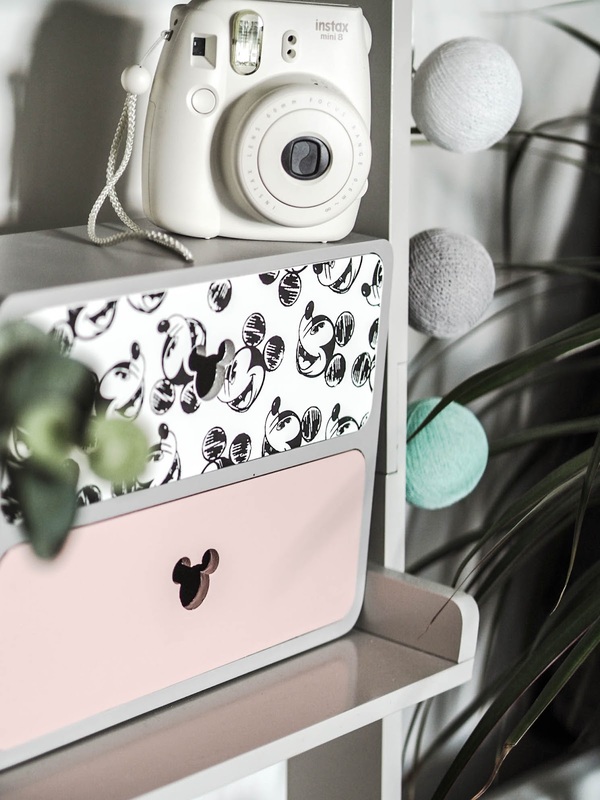 Mickey Mouse drawers. Honestly, I'm actually quite taken with the whole range. The cushion is definitely next on my list, but as you will see from an upcoming blog post on my Winter Interiors Update, I definitely don't need anymore cushions! Primark is absolutely killing it with all its homeware at the minute. I am so impressed. This purchase was completely practical though. Space is always at a premium when you live in a flat, and it will come in handy for all my bits and bobs. As a side note, it did take me quite a while to find one that wasn't damaged in some way. Maybe I am just extra picky, but the majority of them had a scratch or scuff somewhere, so watch out! 04. 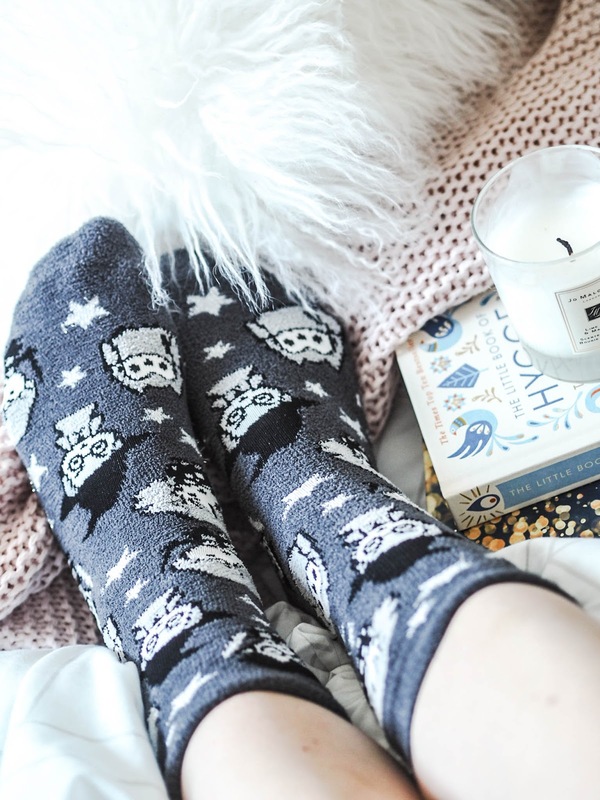 Harry Potter cosy socks. I have recently been rewatching all of the Harry Potter films in, I hope, a lead up to me reading all the books again. These cuties were at the till point and I couldn't resist. Perfect for bedtime. 05. Friends pyjamas. Not that I need anymore pjs in my life, but it just so happens that I have recently thrown a couple of my older pairs away, and my nightwear was in dyer need of a bit of a revamp. 06. Minnie Mouse pyjamas. I have admired these on numerous visits and I took it as fate that there was only one small size left on the rail. I could have gotten away with XS as they are pretty roomy, but they are to sleep in so I don't mind them being a more 'comfortable fit. 07. Mary Poppins Penguin T-shirt. Subtle Disney is definitely my jam. I absolutely love all the embroided items floating around at the minute. Despite the itsy bitsy penguins, it's actually a lovely, good quality, plain grey tee. I also bought some of their staple hidden support vests. They are fab for an added layer under your clothes. And that's it. 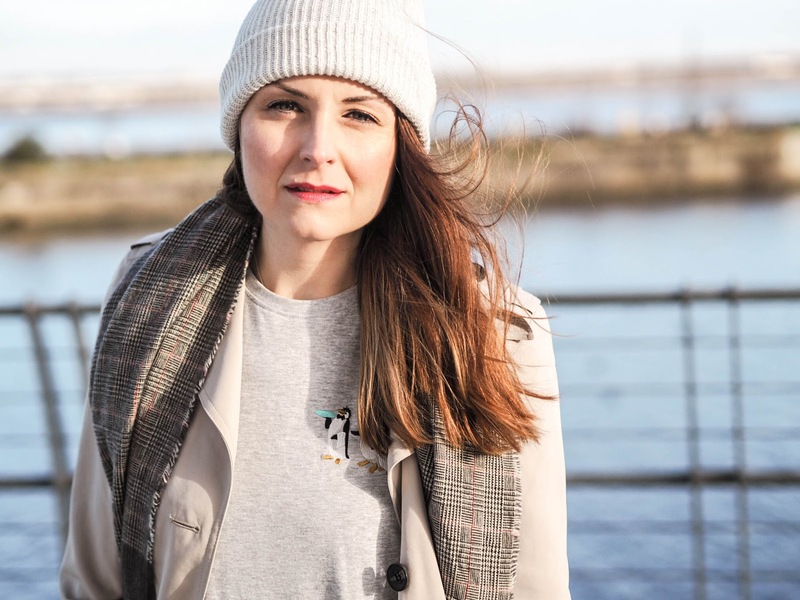 Have you bought anything noteworthy in Primark recently? Lemme know below. *All links are affiliate links. You can read my disclaimer here.